Coil Solutions is growing, and we are seeking people to grow with us. We are looking for positive and adaptable people with a keen interest in working with innovative intervention technologies. We aim to build a culture where all members are motivated to help build the success of the company. The company is driven by three main principles: Quality, Service and Innovation. We know that to deliver these goals, we need to foster an environment where employees feel committed, engaged and inspired. Organizing the building and repair of coil tubing injectors, which include verifying build of materials, oversee and make changes to build procedures as per customer requests. Communicating with customer about changes and updates, discussing time lines, pricing, and options for increasing longevity of equipment. Overseeing and making changes to injector hydraulic schematics, Electrical schematics, build drawings. Overseeing inventory of parts, supplies, and man power. Holding discussions with Engineering on how to correct issues or better product line. Working with engineering to develop new and innovative Ideas. Assisting sales with identifying customer requests. Being available for customer questions and give instruction when applicable. Working with other groups to set priority for warehouse staff and ensure parts are being shipped and available for assemblers in a timely manner. Developing and maintaining operations and maintenance manuals. What is the best part about working at CSI? The people. The fact that we are more of a family than just coworkers. How have you grown/what have you learned in the role? Oversee the day to day operations of the HSE/Quality Groups and I am also as an available a resource to other groups to plan/implement potentially new compliance requirements. My day is typically divided into an array of different tasks that include resolving issues with your current HSE/Quality processes or developing new processes so Ranglar complies with potential future business opportunities. 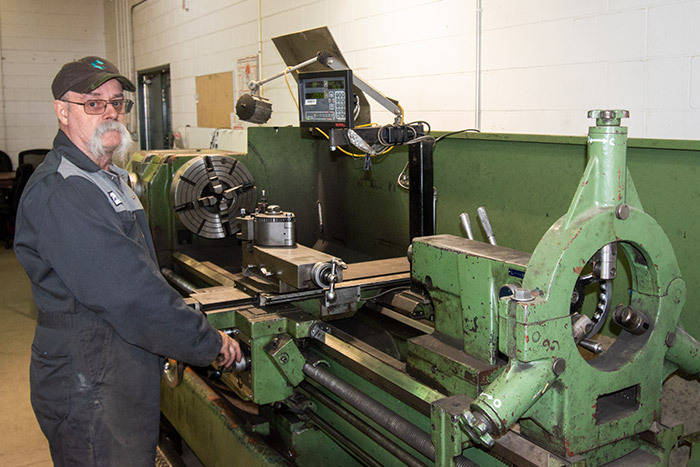 On any given day I could be interacting with shop personnel about a new process we have not defined, revising a current documented process due to changes or meeting with management to discuss an effective method to complete a task. From this I will create or update procedures, instructions and forms to better define how we perform a task or complete process. I also provide guidance to the HSE/Quality Team to improve our own processing responsibilities. This mainly involves ensuring what we are doing or proposing what to do is in the best interest of the organization. This typically requires that I evaluate the cause and effect of changes to the organization as a whole. 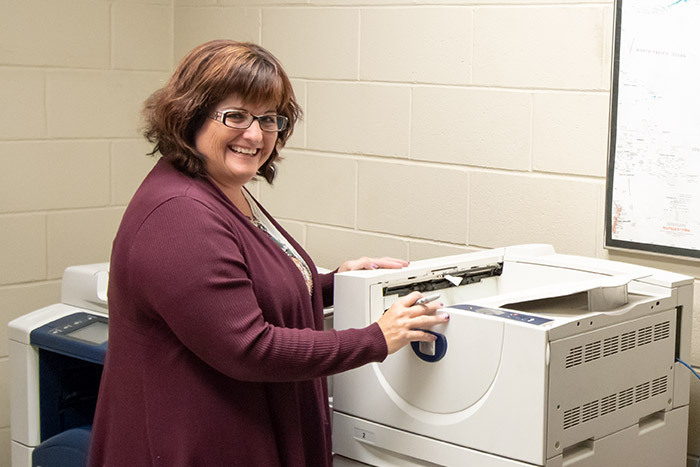 What is the best part about working at Ranglar? I have appreciated the freedom to implement some of our management processes as I see fit. I enjoy the candid feedback I continually receive on these and other processes, so we can improve them. Final there are still other compliance requirements we have yet to implement or achieve and look forward to the challenges these will hold. In my position my work is not only assessed by the people I work with and for but also by clients and external inspectors/auditors. All these groups, at times, have different expectations on what need to be done and how to best accomplish it. Learning to manage these diverse perspectives has been interesting over the years and believe that I have provided satisfaction to most, most of the time. I generally deal with accounts payables for Coil Solutions and Ranglar Manufacturing. I keep track of incoming invoices for the company; I make sure they are being entered into both accounting systems (pricing and PO’s correspond with invoices) and I make sure they are paid in a timely manner. I am the main person who is responding to those looking for payment. I am also the person to come to for credit applications, adding a vendor into GS or any changes that need to be made to vendors. 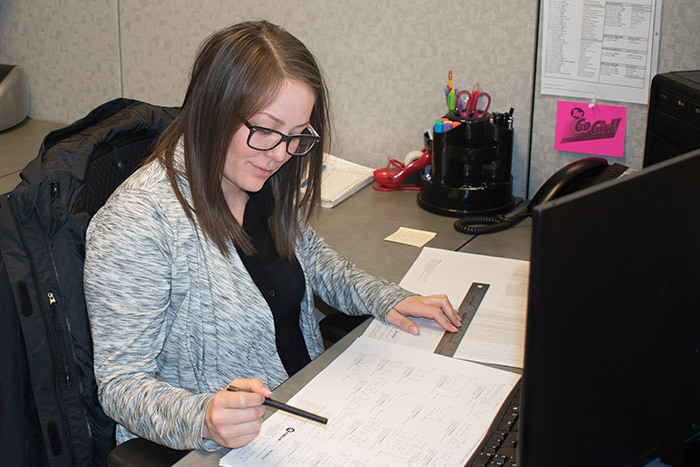 As I continue gaining knowledge and growing with the company, I have gradually been given other task around the accounting office in Medicine Hat. What is the best part about working at Ranglar/CSI? Although I am not situated in Calgary, I’d have to say the best part about working for this company is the great employees I get to deal with that are working up in Ranglar/CSI. From my opinion, they have an awesome crew up there and have always been willing to help me out when I am having issues! I have learned that mistakes that I make are not something to stress about because they can be fixed! I have an awesome group of people who inspire me to be my best self and I am grateful to have them apart of my team to help me learn and grow in my career! Customer relations is the key to our success. Honesty is always the best approach. My main role is working closely with engineering to get drawings to the guys on the production floor. I help with the review of drawings and once they are released I process them in our ERP system. I maintain and control the creation of inventory parts, engineering change notices and engineering drawing binders. I help out the purchasing department throughout all levels of the procurement process. THE PEOPLE! We have a great team here at Ranglar who are less like colleagues and more like family. Days are full of laughter and we all have a mutual respect for one another. Regardless of job descriptions, everyone is willing to help however and whenever they can. I have grown immensely since being hired as a receptionist two years ago. Four months into employment I was offered a Jr. Purchasing position where I became familiar with the parts and materials used on the floor, our vendors and the procurement process as a whole. About nine months later I was offered the Document Control Technician position where I am currently learning a great deal about the products we build and the industry we service. Why Work for Coil Solutions? Over the last 11 years, Coil Solutions has consistently grown our business by staying true to the core values that have built the company’s success. These are combining engineering expertise and product excellence with a focus on delivering optimum customer service, a stringent quality management system and a culture of innovation. We know that our greatest asset is the people who have helped to build our company’s brand. We believe that our culture of innovation, creativity and collaboration provides an ideal environment for our employees to grow and realise their full potential. We continually encourage our employees to step up to challenging technical projects for our clients and create value. With offices in Canada and the US and our global operations expanding daily, we offer our employees opportunities for mobility across careers and geographies. We offer a company-wide talent management process, that actively promotes professional growth and development. We are committed to diversity in the workplace.